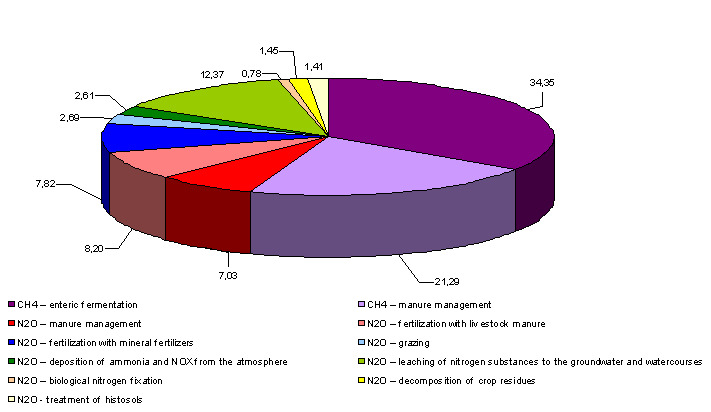 Greenhouse gas emissions, methane and nitrous oxide, in agriculture were reduced by 14% from 1986 until 2011. The reduction is mainly the result of lower volume of cattle, pigs and poultry as well as improved methods of handling livestock manure. 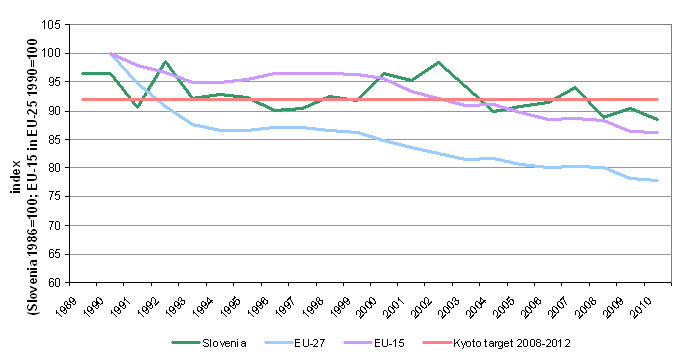 Slovenian Environment Agency 2013; European Environment Agency, 2013. In accordance with the signing of the Kyoto Protocol Slovenia in the period 2008-2012 has to reduce greenhouse gas emissions by 8% by value in 1986. In accordance with decision no. 406/2009, each Member State by 2020 to limit greenhouse gas emissions at least by the percentage set for that Member State in relation to its emissions in 2005. 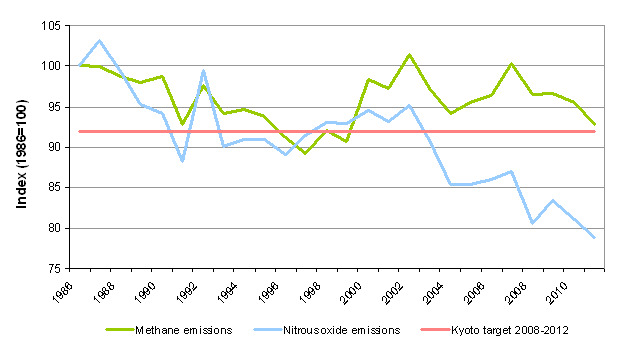 Slovenia thus may be omitted for 4% higher than emissions in 2005.